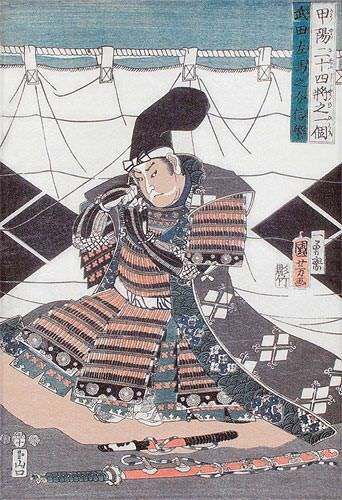 Artwork Panel: 28.3cm x 41.1cm ≈ 11" x 16¼"
Silk/Brocade: 37.5cm x 103.1cm ≈ 14¾" x 40½"
This wall scroll is discounted because of a minor line in the silk (basically one thread out of a thousand was pulled or missed a weave on the jacquard loom). You probably would not notice this if I did not tell you about this issue. This is a real bargain (less than half price, and way below cost).